Melbourne has some good locations for rollerblading. There are numerous skate parks which are good for aggressive skating where skaters do tricks and jumps. 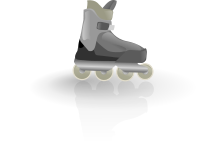 There are also several locations for recreational and fitness skating where skaters can travel longer distances at higher speeds. This page was last modified 11:09, 30 July 2010.